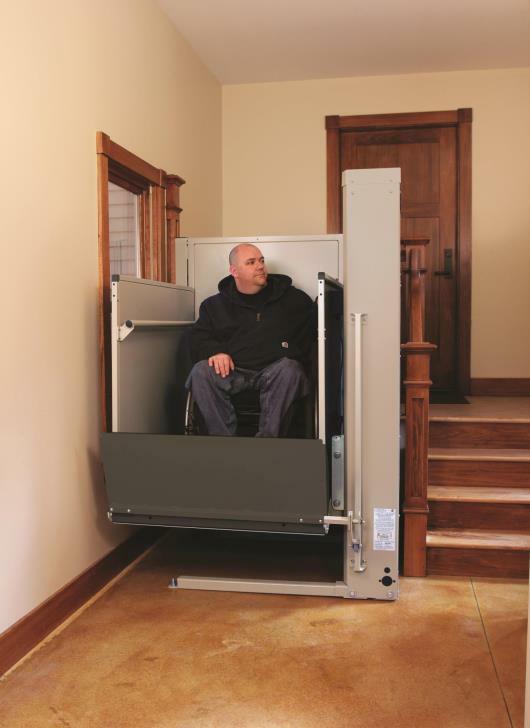 Las Vegas Stair Lifts | Accessibility Services Inc.
You will like buying from us because we provide the best products and the best service at the best price. We are a 13 year, family owned business, with an A+ Better Business Bureau rating, serving Las Vegas and the surrounding communities. Come in and visit our showroom. Please call for an appointment. In-home assessments are also available at no charge. • We have completed and are up to date on our supplier's training courses. • The same person will consult with you, install, and service your lift. • Our clients are never charged for a service call. • For sales or service we make every effort meet you in your home within 24 hours. 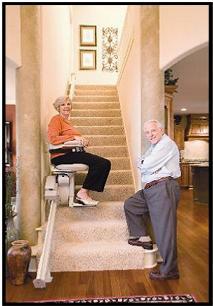 • Stairlifts can often be installed and ready for use within days of your call. 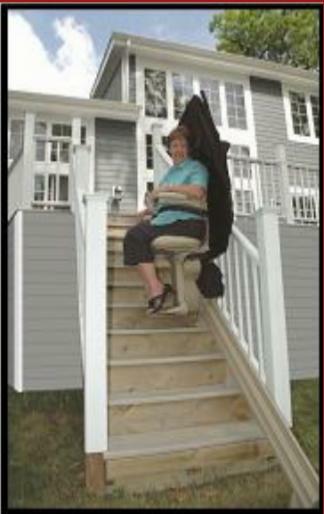 • We feature the stairlifts (chair lifts) manufactured by Bruno Independent Living Aids, Inc.
• Made in America, Bruno's manufacturing facilities are in Wisconsin, USA. • They are family owned, 35 years in business, and offer the best warranties available. • Bruno chairlifts meet all of these industry standards: FDA, UL, ASME 18.1, ISO 9001. 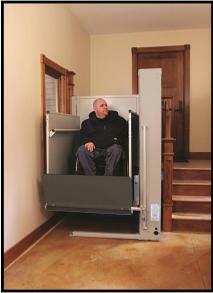 • We also carry Bruno's line of wheelchair lifts for both residential and commercial use. How can we offer the best service, best product and the best price? • We do not advertise nor maintain an expensive retail store. We come to you. • We do all our own installations, no outside contractors or installers. • Preparation, cutting and drilling, is done in our shop so installations are quick and clean. • We have earned the best discounts from Bruno and pass the savings on to you. 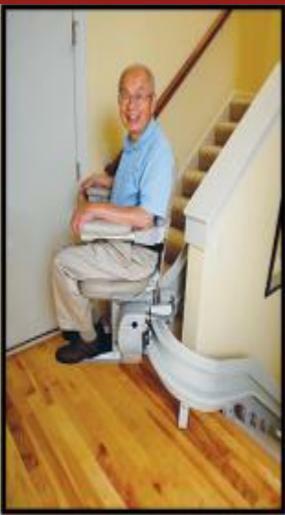 • Used straight rail stairlifts are often available at a significant savings. We have over 30 years of experience working with people that are not as mobile as they would like to be. 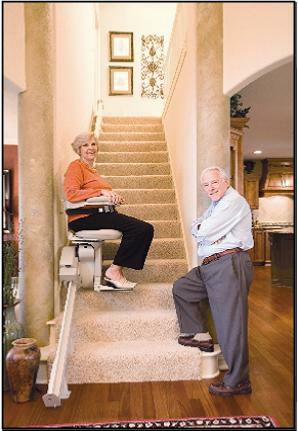 Using your stairs may be strenuous, painful, dangerous or impossible and a stairlift solution seems to be a significant investment. We are here to lend you our knowledge and experience to help you through a difficult process. Members of our family business live here, in Las Vegas. We are available week days, and evenings and weekends by appointment, to help you develop a solution to fit your needs.